Transfer pricing issues, increases in voluntary disclosures, and procedural disputes are among major developments, but what will happen in 2016 — and beyond? The Canada Revenue Agency (CRA) continues to employ a risk-based approach when auditing large corporate taxpayers, focusing on high-risk areas such as aggressive tax avoidance and international tax planning. Information-gathering involves the use of written requests and requirement letters to routinely attempt to compel delivery of taxpayer information. However, the CRA has had mixed success recently when requesting that the Federal Court compel taxpayer compliance under section 231.7 of the Canadian Income Tax Act (Act). In Minister of National Revenue v. BP Canada Energy Company, 2015 FC 714 (under appeal), the CRA was permitted to obtain the disclosure of uncertain tax position analysis prepared for financial statement purposes. However, in Minister of National Revenue v. Amdocs Canadian Managed Services Inc., 2015 FC 1234 (Amdocs), the court did not order production of a corporate chart and financial information pertaining to the calculation of fees charged by nonresidents affiliated with Amdocs on the basis that, because the information was not in the possession, power, or control of Amdocs, there was no reason to believe the information even existed in the form requested by the CRA, and Amdocs made reasonable efforts to secure the information for the CRA. Transfer pricing continues to present challenges to both taxpayers and the CRA, not only in determining appropriate transfer prices but also in understanding and applying section 247 of the Act in real-world circumstances. Notwithstanding that section 247 of the Act has been in place for more than fifteen years, questions regarding the meaning of the terms “reasonable efforts” and “recharacterization” have yet to be definitively determined by the courts. Recent statistics from the CRA’s Transfer Pricing Review Committee (TPRC) with respect to penalty and recharacterization provide some insights into the CRA’s approach to the assessment of transfer pricing penalties and the issuance of recharacterization reassessments. Neither the imposition of transfer pricing penalties nor approval of recharacterization reassessments is automatic. 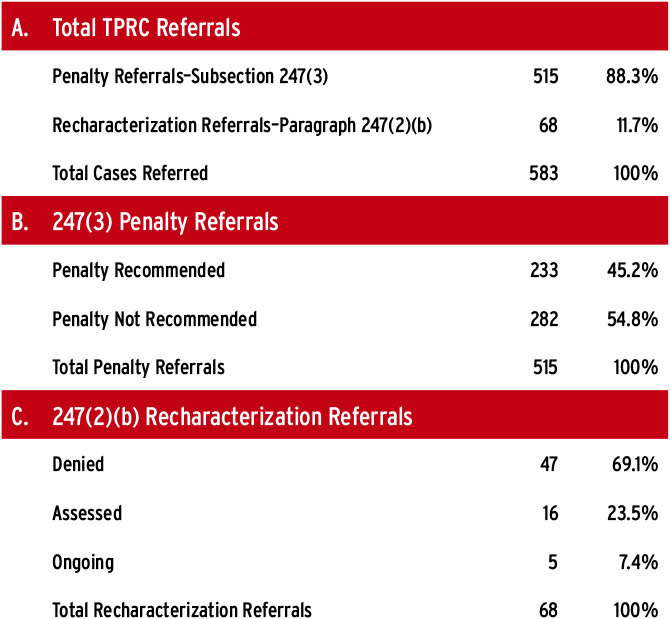 Based on the statistics, the TPRC appears to take a somewhat measured approach to both issues (see chart, page 34). Some recent court cases, however, provide interesting insights into the direction both the CRA and the courts are headed with respect to transfer pricing issues overall. At this point, the CRA can raise different assessing positions under both paragraphs 247(2)(a) and (c) and paragraphs 247(2)(b) and (d) of the Act with respect to the same transaction or series of transactions (Agra City Ltd. v. The Queen, 2015 FCA 288). The Crown may file inconsistent pleadings with respect to transfer pricing assessments issued to members of a corporate group, because each corporate group member is a separate and distinct taxpayer (Agra City Ltd. v. The Queen, 2015 FCA 288). The filing of inconsistent pleadings may increase the chances of the CRA winning at least one of the cases. In January 2016, the Federal Court of Appeal affirmed the decision of the Tax Court of Canada in Marzen Artistic Aluminum Ltd. v. The Queen, 2016 FCA 34, upholding most of the CRA’s transfer pricing adjustments and the imposition of transfer pricing penalties. The case, however, provided little insight into the meaning of “reasonable efforts” in the context of transfer pricing documentation, given that the taxpayer did not prepare contemporaneous documentation. The Tax Court is scheduled to hear its first recharacterization case later in 2016 (Cameco v. The Queen). This case will also consider whether a nil transfer price can give rise to the application of paragraphs 247(2)(a) and (c) of the Act and of the specific circumstances, if any, in which both paragraphs 247(2)(a) and (c) and paragraphs 247(2)(b) and (d) of the Act may apply. Other cases before the Tax Court include Canadian Imperial Bank of Commerce (payment to settle litigation), Burlington Resources Finance Co. (deduction of guarantee payments and transfer pricing penalties), Conoco Funding Co. (deduction of guarantee fees and sale of financial instruments), and Silver Wheaton Corp. (service fees, penalties, and recharacterization). With all of the uncertainty that exists with respect to transfer pricing issues, taxpayers may wish to consider entering into an advance pricing agreement (APA) to proactively deal with potential transfer pricing disputes. Where the CRA has issued a transfer pricing reassessment, the taxpayer may request assistance of Canadian Competent Authority using the mutual assistance procedures (MAP) to resolve any resulting double taxation issues involving Canada and a country with which Canada has a tax treaty. While an APA can be unilateral (i.e., involving only the CRA), most APAs are bilateral or multilateral in nature (i.e., involving the CRA and one or more foreign revenue authority). As of March 2015, the CRA had completed 209 bilateral and multilateral APAs, sixty-one percent of which were with the United States. Fifty-four percent of completed APAs involve transfers of tangible property, twenty-three percent relate to pricing of intangible property, twenty-one percent deal with pricing of intergroup services, and two percent deal with financing transactions. Ninety-four percent of taxpayers obtained full relief from double taxation, three percent obtained partial relief, and three percent did not obtain relief. Approximately eighty-six percent of the resolved cases resolved transfer pricing issues. The average time to resolve a case was between two and three years. The major drawbacks of the APA program and MAPs continue to be the length of time to complete a bilateral APA (average of just more than four years) or negotiate a resolution of a double tax issue (average of two to three years) and the time commitment on the part of the taxpayer to provide all required information during each of the processes. Given that the CRA and foreign revenue authorities focus on auditing international transactions involving unreported income, it is no surprise that the number of voluntary disclosures has increased. The CRA indicated, in its most recent annual report, that more than $1.3 billion of unreported income was voluntarily disclosed in 19,134 disclosures during the CRA’s last fiscal year. About $780 million of the unreported income was attributable to offshore holdings. The numbers likely will continue to increase for a number of reasons, including the decline of bank secrecy in certain jurisdictions. Spats involving procedural issues can occur at the audit, appeals, and court stages. Taxpayers and the Crown increasingly seem to require a judge to arbitrate how the tax audit/assessment process or the tax dispute resolution process is to be conducted. For example, taxpayers allege that the CRA has exercised its powers to gather information in an illegal fashion. During the Tax Court process, either party may refuse to provide information or documentation. Taxpayers may allege that the CRA is acting unreasonably when refusing to waive interest or penalties. Procedural wrangling typically occurs in the Federal Court when the exercise of the Minister of National Revenue’s jurisdiction is in issue and in the Tax Court for motions to strike pleadings or to compel production of documents during litigation. At least ten reported decisions of the Tax Court or Federal Court of Appeal during the last year have dealt with such issues. The Principles for a Binding Settlement, and Can A Binding Settlement Be Broken? A party who agrees to a settlement of a tax dispute expects that the counterpart will honor the terms of the deal reflected in the written minutes of settlement. However, in the past number of years, taxpayers or the Crown in a number of cases have attempted to back out of a deal. The Tax Court has had to deal with the question of whether it had jurisdiction to enforce the terms of a deal or whether the appropriate remedy was available through the judicial review process in the Federal Court. Most recently, the Tax Court addressed this issue in Marine Atlantic Inc. v. The Queen, 2016 TCC 46, where the Tax Court held that it did not have the power to enforce a private agreement between the taxpayer and the Crown to hold an appeal in abeyance pending the outcome of another case. Transfer pricing continues to present challenges to both taxpayers and the CRA, not only in the determination of appropriate transfer prices, but also in terms of understanding and applying section 247 of the Act in real-world circumstances. Canadian case law also continues to reflect the principle that a settlement must be principled and that “hazards of litigation” are not grounds for reaching a deal arbitrarily without some legal foundation. However, most recently in Sood v. Canada (National Revenue), 2015 FC 857, the Federal Court confirmed that settlements can be reached through comprise in situations where the “factual situation lends itself to some interpretation and room for negotiation,” unlike a case involving “an all or nothing proposition.” Settlements are enforceable provided they are based on the law and the facts and represent an outcome that could have been reached by a court at trial (1390758 Ontario Corp. v. R., 2010 TCC 572). Over the last two years, the Tax Court has made a number of significant awards of court costs. For example, in Standard Life Assurance Co. of Canada v. The Queen, 2015 TCC 138, the Tax Court awarded significant costs to the Crown with respect to its complete success at trial. The taxpayer was successful in Spruce Credit Union v. The Queen, 2014 TCC 42; Sun Life Assurance Co. of Canada v. The Queen, 2015 TCC 171; and Repsol Canada Ltd. v. The Queen, 2015 TCC 154 (under appeal). The Tax Court cost awards serve as a warning to both taxpayers and the Crown that they may be liable for significant costs if they reject a reasonable and principled settlement offer. The recent amendments to the Tax Court General Procedure Rules (section 147) have also encouraged the use of settlement offers to potentially obtain substantial indemnity costs if the offerer is substantially successful at trial. The General Anti-Avoidance Rule (GAAR) was enacted in 1988. 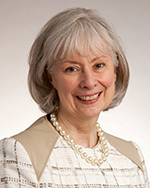 Many decisions have been rendered in connection with GAAR, including decisions from the Supreme Court of Canada (SCC). However, the provincial courts have issued fewer decisions pertaining to the application of the provincial GAAR in connection with provincial income taxes. Most recently, the British Columbia Supreme Court rendered a decision in The Queen v. Veracity Capital Corp., 2015 BCSC 2278, in which the taxpayer was unsuccessful in avoiding the imposition of British Columbia provincial income tax in connection with a Québec year-end straddle. Within the last three or four years, taxpayers have otherwise been successful in rebuffing GAAR challenges pertaining to provincial income taxes. For example, the taxpayers were victorious in Husky Energy Inc. v. Alberta, 2012 ABCA 231, and Canada Safeway Ltd. v. Alberta, 2012 ABCA 231 (leave to appeal to the SCC, denied in both cases). The Ontario Court of Appeal in Inter-Leasing Inc. v. Ontario, 2014 ONCA 575, overturned a decision by the Ontario Superior Court of Justice pertaining to Ontario’s right to tax interest income received by a company resident in, but not incorporated in, Ontario. The Ontario Court of Appeal, in holding for the taxpayer, found the internal financing did not result in abusive tax avoidance in the circumstances. 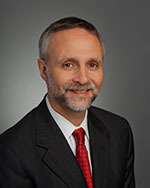 Within the last two years, the Tax Court has rendered a number of important decisions about financial transactions, including Kruger Inc. v. The Queen, 2015 TCC 119, (writing and selling foreign currency option contracts); George Weston Ltd., 2015 TCC 42, (gains from the collapse of long-term U.S. currency swap contracts); and Agnico–Eagle Mines Ltd., 2014 TCC 324, (conversion and redemption of convertible debt). These decisions involve the taxation of derivative transactions, foreign exchange transactions, and hedging transactions. The decisions in Kruger Inc. and Agnico-Eagle Mines Ltd. are currently under appeal. Rectification and Rescission — How Far Can These Remedies Extend? Rectification is a long-standing equitable remedy that allows parties to a transaction to amend documents retroactively where the documents do not properly reflect the parties’ original intentions. Although initially a remedy for transcription errors, the scope of the doctrine has broadened over time to provide relief in other situations. On May 18, 2016, the SCC will be hearing two cases, one from Québec and one from Ontario: Canada v. Groupe Jean Coutu (PJC) Inc., 2015 QCCA 838; and Fairmont Hotels Inc., et al v. A.G. Canada, 2015 ONCA 441. The SCC will be asked to decide how much rectification will be available to correct errors that give rise to tax consequences that were not initially contemplated. Decisions of the SCC will be welcome, because there has been a lack of consistency in the decisions of provincial superior courts in this area. For example, over the last two years, courts in British Columbia have typically granted the remedy of rectification or rescission (Re 0741508 BC Ltd., 2014 BCSC 1791; and Re Pallen Trust, 2015 BCCA 222). However, courts in Alberta have been reluctant to grant the remedy of rectification (Harvest Operations Corp. v. Canada, 2015 ABQB 327; and Graymar Equipment Inc. (2008) v. Canada, 2014 ABQB 154). Courts in Ontario have generally granted the remedy of rectification following the guidelines of the earlier Court of Appeal decision in Juliar, (2000) 50 O.R. (3d) 728. These recent Ontario decisions include Fairmont Hotels, mentioned above; Canada Life Insurance Co. of Canada v. Canada, 2015 ONSC 281; and Canada v. Brogan Family Trust, 2014 ONSC 6354). The CRA has been auditing the activities of foreign affiliates of Canadian taxpayers, alleging that the income of these foreign affiliates is not “income from an active business” but “foreign accrual property income” (FAPI). The allegations are based on the application of the “investment business” rules in subsection 95(1) of the Act or based on other deeming rules, such as paragraph 95(2)(l) of the Act. There are cases in the Tax Court process that have been heard or are awaiting hearing. These decisions should have a considerable impact on the interpretation and application of FAPI and foreign affiliate surplus rules in section 113 of the Act. In Canadian Forest Navigation Co. Ltd. v. The Queen, 2016 TCC 43, a Canadian parent company (Canco) received dividends from two foreign affiliates and claimed a dividend deduction pursuant to section 113 of the Act. On audit, the CRA reassessed Canco by denying the intercorporate dividend deduction. Canco then promptly obtained rectification orders from courts in the foreign countries in which the affiliates were resident—without notifying the CRA. These court orders declared that the dividends were not dividends but rather loans. In a subsequent hearing on the sole question of whether the CRA was precluded from treating the distributions as dividends, the Tax Court held that the CRA was not (yet) bound by the foreign rectification orders. The foreign court orders would first have to be approved by a competent court in Québec to ensure they do not conflict with the rectification law in Canada. The SCC determined in 1983 that a client’s right to confidentiality exists where legal advice of any kind is sought from a professional legal adviser in his capacity as such and where the communications relating to that purpose are made in confidence by the client, unless the client waives that protection (Descoteaux, et al. v. Mierzwinski, 1 SCR 860 and 1983 44 NR 462). The SCC also determined that litigation privilege is designed to promote the adversarial system and protect a process, whereas solicitor–client privilege seeks to protect the relationship between the lawyer and client. The leading and most recent decision of the SCC pertaining to litigation privilege is Blank v. Canada (Minister of Justice), (2006) 2 SCR 319. Claims for either litigation privilege or solicitor–client privilege come up regularly in tax dispute resolution, whether at the audit stage when information is being collected or during the Tax Court process. In an examination for discovery in the Tax Court, a litigant attempts to collect and consider all pertinent facts to prepare for the tax appeal. The taxpayer or the Crown is not required to disclose relevant documentation and information during the discovery process if the information or documents are the proper subject of a privilege claim. Canadian Imperial Bank of Commerce v. The Queen, 2015 TCC 280, offers a thorough review of privilege in this area. Chief Justice Eugene Rossiter determined that the scope of relevance in a discovery is extremely broad and should be liberally construed, but it does not allow for a fishing expedition, abuse of questions, delaying tactics, or completely irrelevant questions. Second, items may be privileged in one context but not in another. Therefore, litigation privilege or settlement privilege available in one case may be lost when that litigation is concluded. Third, settlement privilege may continue after the settlement, but it may be outweighed by a competing public interest, such as dealing with allegations of misrepresentation, fraud, undue influence, and the right to a fair trial. Fourth, an implied waiver of privilege requires that the privilege holder must have taken some course of action, relied on legal advice to do so, and somehow placed that reliance in issue at trial. The Superior Court of Québec and Québec Court of Appeal determined in Groupe Enico, et al v. Québec, 2013 QCCS 5189, 2016 QCCA 76, that Revenu Québec should pay damages to two taxpayers following an abusive audit. Although the Court of Appeal did not agree with some of the trial judge’s criticisms of Revenu Québec and with the award of certain damages (the award of punitive damages of $1 million to one of the taxpayers was overturned, as was the award of moral damages of $50,000), most of the reasoning from the Superior Court was confirmed by the Court of Appeal. There are other provincial actions that have been commenced by taxpayers. Within the last six years, disgruntled taxpayers have sought to certify class actions against professionals for negligent tax advice. These cases include Robinson v. Rochester Financial Limited, 2010 ONSC 463; Lipson v. Cassels Brock & Blackwell LLP, 2011 ONSC 6724; and Cannon v. Funds for Canada Foundation, 2012 ONSC 399. Litigation will therefore likely prove to be the exception rather that the norm as corporate taxpayers attempt to control costs and minimize conflict with the tax authorities. In disputes involving transfer pricing, scientific research, and international transactions where the application of foreign law is an issue, expert evidence may be required by the parties and possibly a judge to determine certain facts in a dispute. The Tax Court General Procedure Rules (section 145) were recently streamlined to accommodate the use of experts, alone or in tandem. Notwithstanding these changes, the trials involving experts are lengthy and costly. Moore v Getahun, 2015 ONCA 55, a recent decision of the Ontario Court of Appeal, limited the extent of disclosure of an expert’s file once the expert has been called to testify. Litigation privilege continues to apply to discussions with counsel and to drafts of the expert’s report. It is expected that the Tax Court will apply these principles just as many other provincial superior courts have done. The first decision on the application of section 163.2 of the Act was rendered by the SCC in Guindon v. The Queen, 2015 SCC 41. The Court found the provision to be constitutional and not in violation of the Canadian Charter of Rights and Freedoms. It is expected that more assessments of third-party penalties will follow. We will witness increased government deficits in the next few years as governments seek to raise and more efficiently collect taxes to fund public expenditure programs promised to the electorate. Therefore, we will see efforts by the CRA and provincial tax authorities to use base erosion and profit shifting (BEPS) initiatives like other tax authorities around the world. The CRA, like these other tax authorities, will focus its resources on high-risk-rated large corporations that are allegedly involved in illegally minimizing taxes in BEPS-like transactions and allegedly engaging in abusive tax avoidance. Information-gathering will become more aggressive as governments attempt to obtain disclosure of the uncertain tax positions of corporate taxpayers. Some corporate taxpayers, however, will be inclined to fight back and resist such information-gathering. Subject to concerns about reputational risk and effective corporate governance, these taxpayers will attempt to use judicial intervention to prevent unlawful requests for information. Yet, some taxpayers will choose to resolve tax disputes without fanfare and any public attention, given growing corporate and public concerns about reputational risk. Litigation will therefore likely prove to be the exception rather that the norm as corporate taxpayers attempt to control costs and minimize conflict with the tax authorities. Ed Kroft, Q.C., and Deborah Toaze are partners in the law firm of Blake, Cassels & Graydon LLP in Canada.